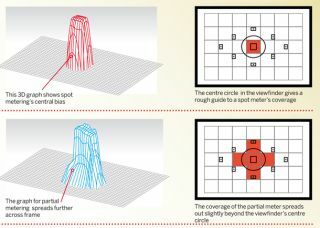 Are you left confused by your digital camera's metering mode function? We might be able to help. The Metering Mode button on your camera is symbolised by an eye-shaped icon within a rectangle. Within your metering mode function you will have either three or four metering modes: spot metering (read our guide to when to use spot metering), partial metering, centre-weighted metering and evaluative metering. As you will see in our latest photography cheat sheet below, each metering option measures the brightness of a scene in different ways, depending on what subject you are shooting. 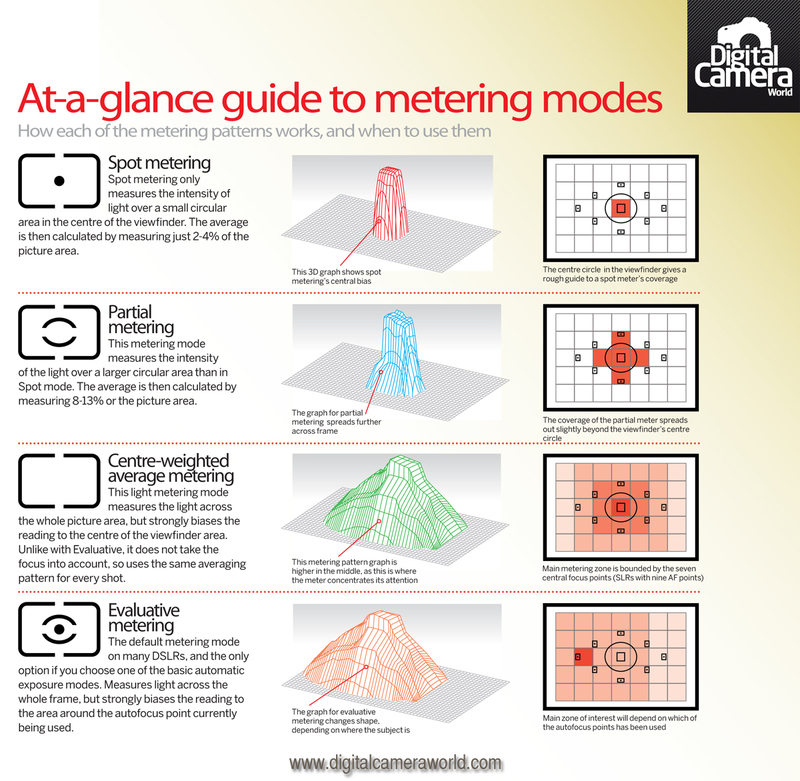 Our infographic below breaks down each metering mode and explains how they work and when is best to use them. And at the end of this article we'll show you how to switch the metering mode on your digital camera. To see the larger version of this cheat sheet simply click on the infographic or drag and drop it to your desktop. If you liked this, you might like some of our other cheat sheets, such as our guide to when to use small or wide apertures, or our guide to how to read a histogram. Press the Metering Mode button on your camera - symbolised by an eye-shaped icon in a rectangle. Use the Main Dial (or the right and left cursor keys at the back of the camera) to cycle through the options and switch from one metering mode to the next. We used a Canon DSLR for the purposes of this exercise. It may be slightly different on your camera. On some models you will need to press the central Set button on the back of the camera in order to confirm the change you have made to the metering mode.